Home » Wedding Ideas » Choosing The Perfect Wedding Tent For Your Perfect Day! Choosing The Perfect Wedding Tent For Your Perfect Day! 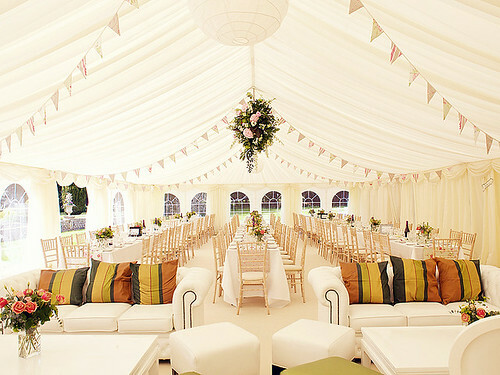 Choosing a tent or marquee for your wedding is no mean feat, but it’s essential if you plan to celebrate outside. Not only will it keep the rain off you should the heavens open, it will also act as a very welcome shelter if the sun shines a little too hard on you. There is a lot to take into consideration when choosing your perfect wedding venue, but luckily there are plenty of hire companies around who will be able to advise you and help find the one for you. It Needs to be the Right Size! 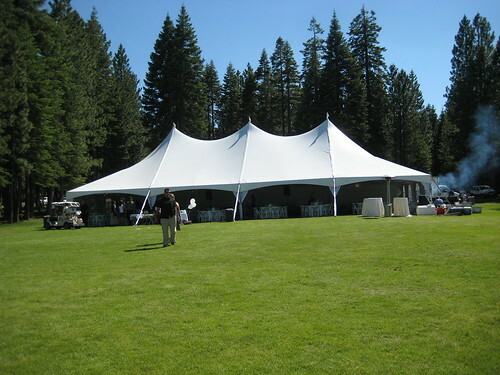 If your wedding tent is too small then people will feel hemmed in and cramped. On the other hand, if it is too big it might feel like not everybody turned up! Getting the right size is vital to the success of the day. Count up how many people are attending, and work out how many tables you will need. Tell the hire company these figures and they will be able to give you a tent with the right dimensions for your celebrations. Some tents have a porch attached and this is a great idea for storing coats, umbrellas and buggies. Flooring is an important consideration – if the ground is slightly damp you won’t want your female guests’ heels disappearing into the grass! Some people opt for a hessian or temporary carpet flooring, while others (with a bigger budget!) go for a wooden floor. Whatever you choose it’s essential that at least the dance floor is solid and stable, otherwise people just won’t dance. 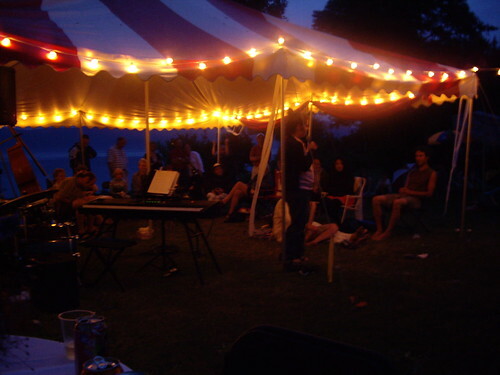 If your budget is tight then, as a compromise, you could leave the main part of the tent without a floor, but put a wooden one down where people will enter and leave, dance and where the band will play. …On the subject of bands – they will need a stage. 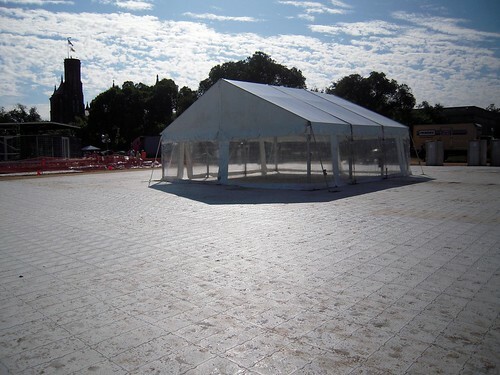 Very often the company who rent out the marquee will be able to provide a stage too. It doesn’t have to be anything special – just some basic blocks which you can cover with an attractive rug or throw to make it look a little nicer. It will need to be safe (and bear in mind that you will need to provide power if the band need to plug their equipment in). If you have a certain layout in mind for the tables then make sure you mention it to the hire company when you are making your decision – it will affect the dimensions you will need. You’ll also need to procure some tables and chairs – it’s worth spending a bit of money on this so they look the part. Again, the hire company can help you with this. Choosing the perfect tent or marquee for your wedding may be a little confusing but it’s important that you get the right one. Have a look online to see all the types available, and don’t compromise and settle for anything less than what you want. Today’s featured writer, Michelle Lee, works as a wedding tent decorator for MDM Shelters, a Milford CT based company that sells instant garages, party tents etc. She believes in the institution of marriage and considers herself lucky for she helps people experience their perfect wedding.